Babesiosis is a disease caused by microscopic parasites that infect red blood cells. Many different species (types) of Babesia parasites have been found in animals, only a few of which have been found in people. Babesia microti which usually infects white-footed mice and other small mammals is the main species that has been found in people in the United States. Occasional cases caused by other Babesia species have been detected. Babesiosis is a malaria-like parasitic disease caused by infection with Babesia, a genus of Apicomplexa. Human babesiosis is an uncommon but emerging disease in the Northeastern and Midwestern United States and parts of Europe, and sporadic throughout the rest of the world. It occurs in warm weather. 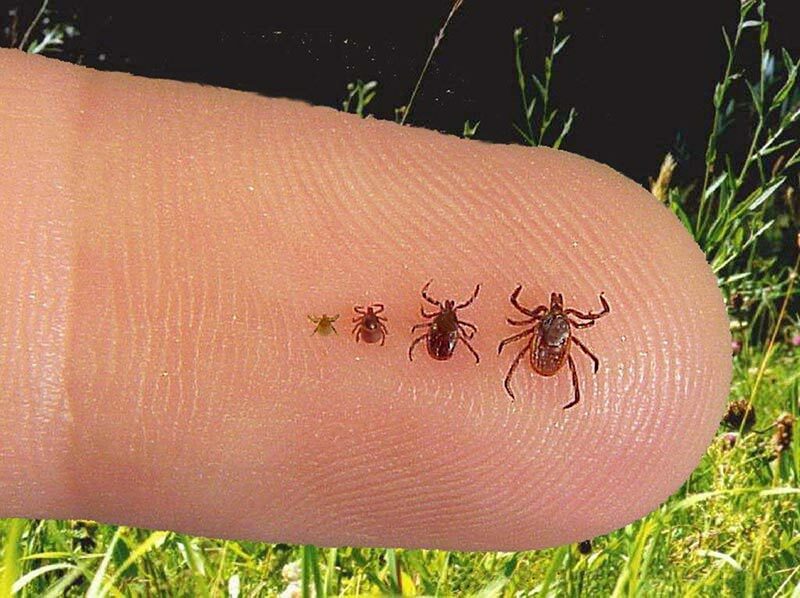 Ticks transmit the human strain of babesiosis, so it often presents with other tick-borne illnesses such as Lyme disease. After trypanosomes, Babesia is thought to be the second-most common blood parasite of mammals, and they can have a major impact on health of domestic animals in areas without severe winters. In cattle, a major host, the disease is known as Texas cattle fever, redwater, or piroplasmosis. Babesia is a malaria-like parasite, also called a “piroplasm,” that infects red blood cells. Scientists believe Babesia microti is the most common piroplasm infecting humans, but they have identified over twenty piroplasms carried by ticks. In addition to transmission by a tick, babesia can be transmitted from mother to unborn child or through a contaminated blood transfusion. Currently, most blood banks do not screen donated blood for babesia. Where do most of the cases of babesiosis occur in the United States? Most cases occur in the Northeast and upper Midwest, particularly in parts of New England, New York state, New Jersey, Wisconsin, and Minnesota. In the Northeast, babesiosis occurs in both inland and coastal areas, including off-shore islands, such as Nantucket and Martha’s Vineyard (Massachusetts); Block Island (Rhode Island); and Shelter Island, Fire Island, and eastern Long Island (New York state). Many people who are infected with Babesia microti feel fine and do not have any symptoms. Some people develop flu-like symptoms, such as fever, chills, sweats, headache, body aches, loss of appetite, nausea, or fatigue. Because Babesia parasites infect red blood cells, babesiosis can cause hemolytic anemia (from the destruction of red blood cells). Symptoms of babesiosis are similar to those of Lyme disease but babesiosis more often starts with a high fever and chills. As the infection progresses, patients may develop fatigue, headache, drenching sweats, muscle aches, chest pain, hip pain and shortness of breath (“air hunger”). Babesiosis is often so mild it is not noticed but can be life-threatening to people with no spleen, the elderly, and people with weak immune systems. Complications include very low blood pressure, liver problems, severe hemolytic anemia (a breakdown of red blood cells), and kidney failure. As the infection progresses, you may develop chest or hip pain, shortness of breath, and drenching sweats. It’s possible to be infected with Babesia and not have any symptoms. A relapsing high fever is sometimes a sign of undiagnosed babesiosis. Babesiosis is caused by infection with a malaria-like parasite of the species Babesia. The Babesia parasite can also be called Nuttalia. The parasite grows and reproduces inside the red blood cells of the infected person or animal, often causing intense pain. There are more than 100 species of the Babesia parasite. In the United States, Babesia microtiis the most common strain to infect humans, according to the Centers for Disease Control and Prevention (CDC). Babesiosis can be difficult to diagnose. In the early stages, Babesia parasites can be detected by examination of a blood sample under a microscope. However, this method is reliable only in the first two weeks of the infection. If you or your doctor suspects babesiosis, your doctor can do further testing. They may order an indirect fluorescent antibody test (IFA) on the blood sample. Molecular diagnostics, such as polymerase chain reaction (PCR), may also be used on the blood sample. Sometimes, babesia can be detected in blood examined under a microscope. However, this method is reliable only in the first two weeks of the infection. Commercial tests currently detect only two strains of Babesia and there are likely many strains yet to be discovered. The PCR (polymerase chain reaction) test can detect babesia DNA in the blood. The FISH (Fluorescent In-Situ Hybridization) assay can detect the ribosomal RNA of Babesia in thin blood smears. The lab can also test the patient’s blood for antibodies to Babesia. It may be necessary to run several different tests, and negative results should not be used to rule out treatment. Babesia is a parasite and won’t respond to antibiotics alone. Treatment requires antiparasitic drugs, such as those used for malaria. Atovaquone plus azithromycin is used to treat most cases and is usually taken for 7 to 10 days. Clindamycin plus quinine is used in more severe cases. With severe illness, additional supportive measures may be taken. It’s possible for relapses to occur after treatment. If you have symptoms again, they must be retreated. Wear clothing treated with permethrin. Spray repellent containing DEET on your shoes, socks, and exposed areas. Wear long pants and long-sleeved shirts. Tuck your pant legs into your socks to keep ticks out. Inspect your whole body after spending time outdoors. Have a friend look at your back and the backs of your legs, especially behind your knees. Take a shower and use a long-handled brush on areas you can’t see. A tick must attach to your skin before it can transmit the disease. Attaching usually takes some hours after the tick has contacted your skin or clothing. Even if the tick attaches, there is some time before it can transmit the parasite to you. You may have as long as 36 to 48 hours. This gives you time to look for the tick and remove it.